5. 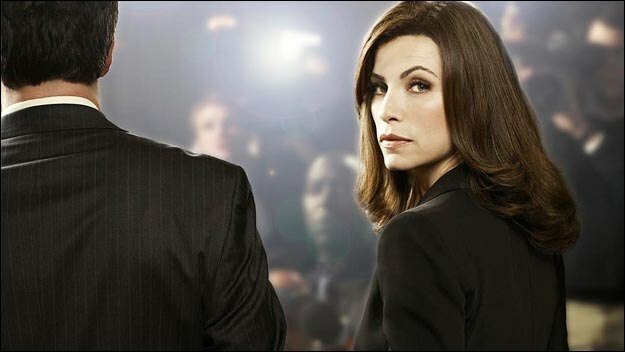 The Good Wife (premieres 9/25 at 9 p.m. on CBS): I watched the first season over the summer and am still in the process of catching up on the second, but I’ll certainly be ready by the time Alicia Florrick is back in the courtroom (and in her new Sunday timeslot!). It would probably be enough if The Good Wife just continued its solid execution of both the legal procedural and family drama, but it goes beyond that, providing twists on tried-and-true court cases, deep characterization, and excellent acting (almost the entire regular cast garnered Emmy nominations this year). Other than Sons of Anarchy (which I also caught up on over the summer, but which already premiered), this is the returning show I’m most looking forward to adding to my schedule this year. 4. 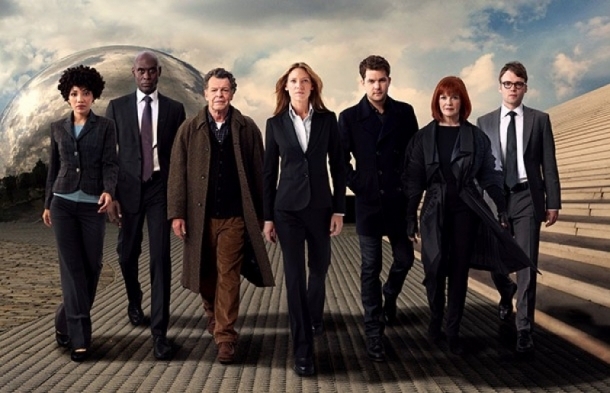 Fringe (premieres 9/23 at 9 p.m. on Fox): Last we saw, the Doomsday Device had bridged the two universes, but in the process caused Peter to disappear, his whole existence wiped from history. It’s been made clear that Joshua Jackson isn’t leaving the show, so we know Peter will be back, but watching the writers dig themselves out of this hole is sure to be a treat. There’s virtually no possibility Fringe will continue after this season (if it hadn’t gotten the early renewal before it moved to Fridays last year, it probably wouldn’t have even made it to this point), so these final 22 episodes are all we’ve got, and Jeff Pinkner, J.H. Wyman and company better make them count. 3. The Office (premieres 9/22 at 9 p.m. on NBC): This is my “one exception” that I mentioned in the intro. The Office is no longer one of my five favorite shows on TV (although I did enjoy much of the Michael Scott farewell tour last season, which brought back the mix of sweetness and comedy the show had been lacking for some time), but I am just really interested to see how they manage the loss of Steve Carell and the addition of James Spader. The Will Ferrell arc last year was a disaster, but the one completely guest-star-free episode (“Dwight K. Schrute, (Acting) Manager”) showed they could still write a good, funny story with the existing cast and without Michael/Carell to hold it all together. Spader’s Robert California won’t be replacing Michael, which I think is smart, and his brief appearance in the finale was one of the funniest, even if it left me with little idea of how they could turn it into a full-time character. In any case, despite arguments that NBC should have ended the show with Carell’s departure, The Office is too popular to let go of, and of the three shows with high-profile lead actor replacements — the others being Two and a Half Men and CSI — this is the one I’m most looking forward to. 2. 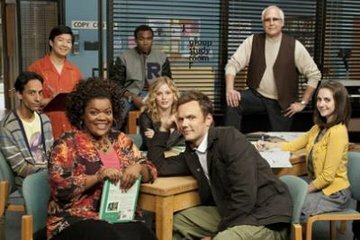 Community (premieres 9/22 at 8 p.m. on NBC): If not for a certain other NBC comedy, Community would have been at the top of this list. Season two wasn’t perfect — Pierce became too mean and cartoonish a villain, some of the parody episodes didn’t really work — but it had a lot of ambition, and when it hit its marks, the result was gold. 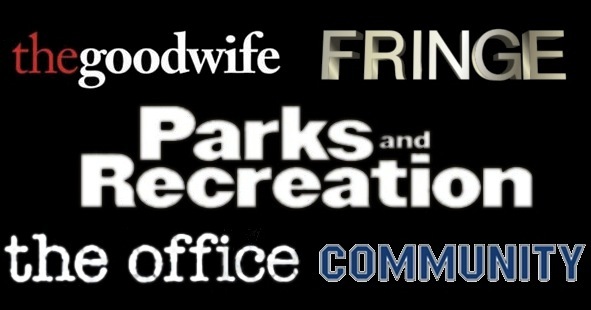 The ensemble grew stronger (everyone is great, but if Donald Glover and Alison Brie don’t become breakout stars soon, something’s seriously wrong with Hollywood) and episodes like “Cooperative Calligraphy,” “Mixology Certification,” “Paradigms of Human Memory” proved that Dan Harmon and his cast and crew could basically do anything they wanted and knock it out of the park. And now, with the additions of Michael K. Williams and John Goodman (and the promotion Jim Rash to series regular), season three can’t start soon enough. 1. 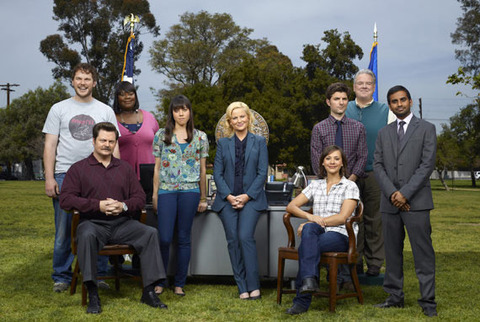 Parks and Recreation (premieres 9/22 at 8:30 p.m. on NBC): From the season one finale (“Rock Show”) on, Parks and Rec has been on an unbelievable hot streak, with only one or two episodes (namely season two’s “Sister City”) failing to live up to the show’s high standards. Not every episode hit the highs of “Telethon” or “Flu Season,” but every one was filled with the laughs, sweetness, and Sweetums we’ve come to expect from the Pawnee gang. The additions of Adam Scott and Rob Lowe have only increased the versatility and hilarity of the already wonderful ensemble cast, and there’s no reason to doubt that the streak will continue into season four, which promises comedy and real stakes in Leslie’s decision over whether to run for office, Tom’s Entertainment 720 venture, and the arrival of Tammy 1. 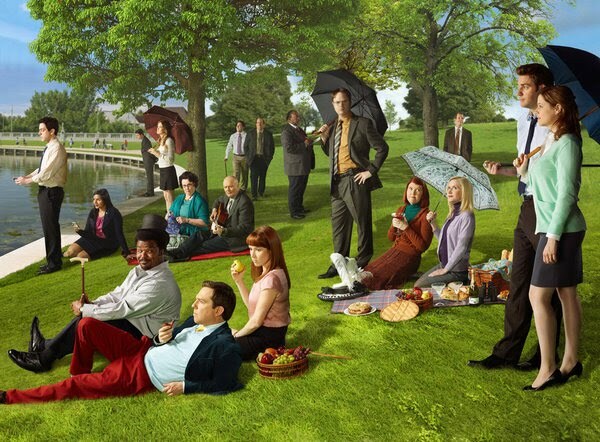 Can’t wait for the best comedy (and, maybe, the best show, period) on TV to return. What returning shows are you looking forward to this fall? Share your thoughts and your own lists in the comments section below! This entry was posted in Fall TV Season and tagged Alison Brie, Community, Donald Glover, Fringe, James Spader, Parks and Recreation, Steve Carell, The Good Wife, The Office. Bookmark the permalink.